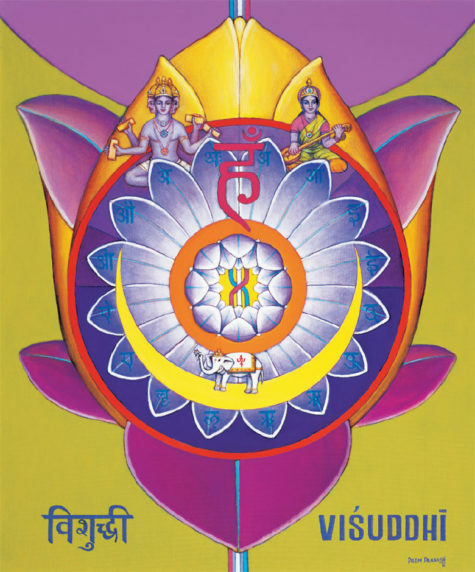 The fifth Chakra, Vishuddha, is the first of the three spiritual chakras. In the area of the throat, it governs the anatomical regions of the thyroid, parathyroid, jaw, neck, mouth, tongue, and larynx. To be open and aligned in the fifth Chakra is to speak, listen, and express yourself from a higher form of communication. Faith and understanding combine the essence of the Vishuddha Chakra. 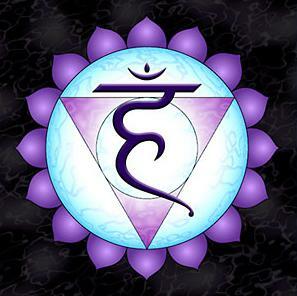 The element corresponding to the fifth Chakra is ether or space, and the sense is hearing. Authentic expression is not something that comes easily. There’s a delicate dance between saying what you mean and staying tactful or diplomatic. Often it’s easier to say what the other person may want to hear instead of speaking your truth. Fear of not being accepted, or judgment from the other may hinder your truthful verbal expression. Work on the lower chakras will help prepare you for this level of communication. For example, when you align the first and second chakras, it helps with overcoming fear. Opening the third Chakra helps you to feel your personal power and have the confidence to express yourself. 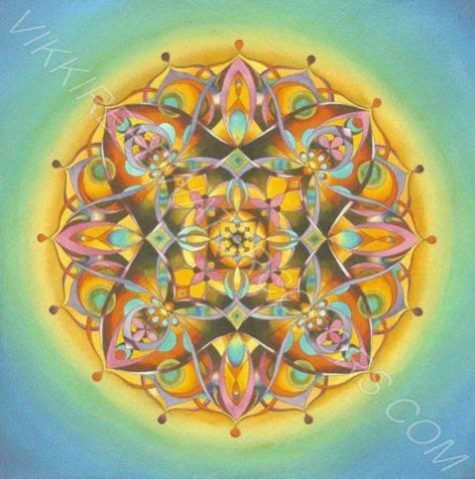 Knowing what’s in your heart comes when you align the fourth Chakra. Then, when it comes to verbalizing your needs, desires, and opinions you’re better able to determine how to be truthful to yourself and others. If you’re used to being accommodating, rather than saying what you want, you may have to practice out loud to yourself. Affirmations are useful in making what you desire reality. Write down what you might want to express to others. Let’s suppose you’d like to ask your boss if you can work from home two days per week but you haven’t had the courage to ask. Write out the phrase you will say when you are with him. Practice it in front of your mirror. Maybe you’d like it if your mother-in-law would call before dropping over but you’ve feared confrontation. Write down the request, practice it, and maybe include a couple of responses should she push back on your request. Dr. David Simon often refers to the following ancient wisdom. He says that there are three gateways you should cross before speaking. Speaking your highest truth doesn’t mean you’re allowed to be hurtful or critical. 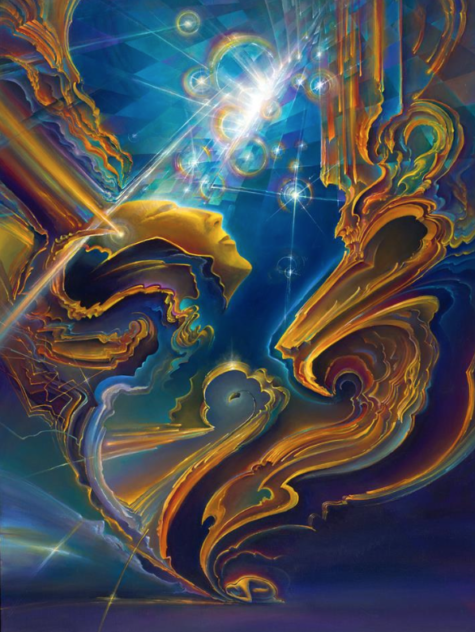 The truth from your spiritual essence will come across as kind and compassionate. Listening is another aspect of the fifth Chakra. The highest form of listening includes giving the other person your full attention. This means putting away electronic devices or turning them off and waiting to hear the other person completely before responding. Chanting, singing, humming, and reading aloud are wonderful ways to open the fifth Chakra. 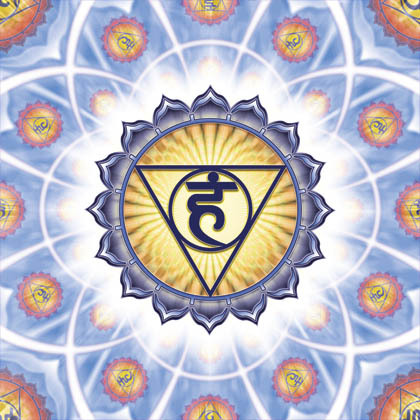 In fact, the mantra sound for this Chakra is HUM. Two Pranayama exercises that bring heat and stimulate the throat Chakra are the Ujjayi breath and the lion’s breath. 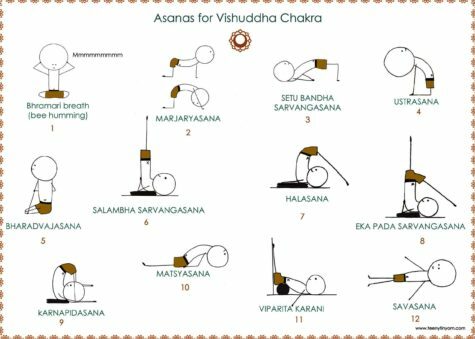 In your yoga practice, you can do camel pose (Ustrasana), bridge pose (Setu Bandha Sarvangasana), shoulder stand (Salamba Sarvangasana), and plow (Halasana). These poses will stimulate the thyroid and parathyroid glands as well as bring energy to the area of the throat. 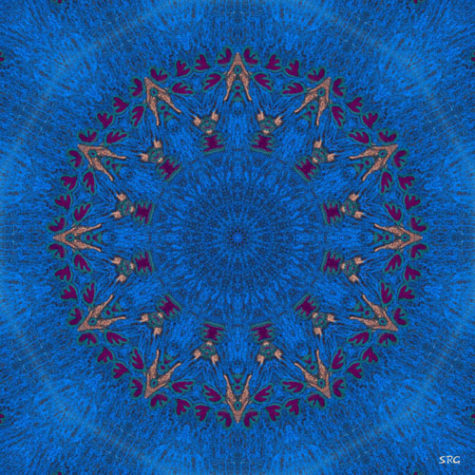 The color corresponding to the fifth Chakra is blue, and gems to balance this Chakra are sapphire, blue topaz, lapis lazuli, aquamarine, and turquoise. In Vishuddha Chakra the nectar amrita drips down the chitrini nadi, and is split into a pure form and a poison. Through practices such as Khechari Mudra and Jalandhara Bandha the nectar reaching Vishuddha is purified, the poison from the body is cleansed and amrita becomes the nectar of immortality. 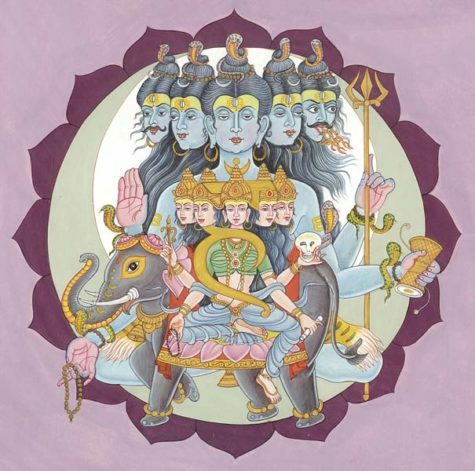 The nectar and poison symbolism originate from the Hindu episode of the churning of the Ocean of Milk in which gods and demons churn the ocean to obtain Amrita, the nectar of immortal life. 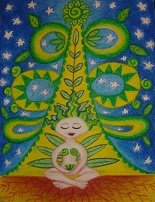 Shakini Shakti is the bestower of all higher knowledge and siddhis (powers). The Chakra’s associated animal is the elephant Airavata, supreme lord of herbivorous animals, vehicle of the Vedic god Indra. It is of smoky grey color, the color of clouds. Indeed, not a face at all but endless nothing. No light, no sound, no movement, no life, no time. For there was no form in which to conceive or be conceived. And became aware that it was nothing. Alone and dark, unborn, unmanifest, silent. Can you imagine this silence, the silence of nothing? Can you quiet yourself enough to hear it? Can you listen to the silence within you? Breathe deeply, but slowly so the breath is silent in your lungs. Feel your throat expand with the air coming in. Listen deep within yourself for the place of stillness. Slowly breathe into this void, a deep and peaceful breath. Until it was no longer empty and the void was full with birth. became vibration in its own recognition of being. And that vibration was sound from which all other sounds were born. It came from Brahma in his first emanation. It came from Sarasvati, in her eternal answers. unto the dance of life, forever singing, always moving. If you listen you can hear it now. It is in the wind, the waters, the trees and the sky. It is in your own mind, in the rhythm of each and every thought. and to one sound shall it return. Chant it now inside you quietly. Let it build within your breath. Let the sacred sound escape you, moving on the wings of air. Rhythm building, deep vibration, rising up from deep within. Chant the sound of all creation, sound that makes the chakras spin. Louder now the voice arises, joins with other sounds and chants. Deeper now the rhythms weaving all into a sacred dance. Rhythms pounding, voices growing, echoing the dance of life. Sounds to words and words to music, riding on the wheels of life. Guiding us along our journey, moving spirit deep within. Chant the voice that is within you. This is where we must begin. Up from silence, breath and body, calling now into the void. Hear its answer in the darkness, fear and pain have been destroyed. Brahma is the first vibration. Sarasvati is the flow. Sound unites us in our vision, harmonizing all we know. Purifying all vibration, echo of the truth profound. 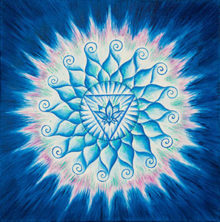 The Key of G is traditionally associated with the Fifth Chakra, or the Throat Chakra.The Fifth Chakra is the seat of the essence of expression, communication and speaking your truth, aspects of the essential self that are deeply empowered by the harmonization of these energies in the heart Chakra. When the Fifth Chakra is open and free flowing, your ability to express the essence of who you are truly becomes possible. The essential self finally feels recognized, validated and received, you feel comfortable with you are and your expression reflects this. When the Fifth Chakra is blocked, issues stemming from Low self esteem and the inability to express one’s self clearly are present. “Holding back” the truth and an inability or reluctance to bring forth the qualities that were revealed in the transformation of the heart into language are also pervasive issues. Opening the Fifth Chakra encourages the expression of the next step in fulfilling your purpose—being present with what your essential self thinks, believes and feels and developing the ability to speak from this place of unity and truth. This music video of “Come As You Are” by Nirvana is played in the key of G. More music in the key of G can be found on this list of compositions in the key of G, and also Jazz compositions in the key of G.
Or, if you’re feeling adventurous you could put “Key of G” into a search on YouTube and go exploring. 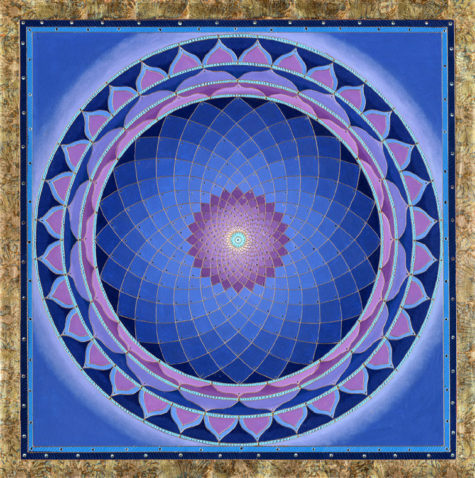 What follows is a collection of throat chakra (5th chakra) images. 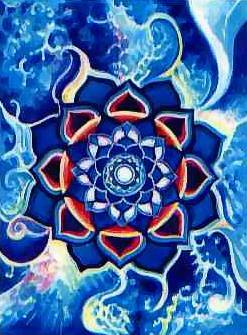 The Throat Chakra is located behind the Adam’s apple(mid-throat region) It is associated with the color blue. It is affected by your forms of communication, truth, and being able to ask when your needs are not met. When this chakra is open and balanced: You are able to accept things as they are, and organise ways of working with situations. You have the power to make changes and you are able to take responsibility for your personal needs. 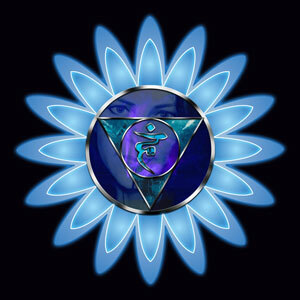 When this chakra is constricted or out of balance you may experience the following: Perfectionism, inability to express emotions, blocked creativity, sore throats, neck ache, thyroid problems, hearing problems, tinnitus, and/or asthma. 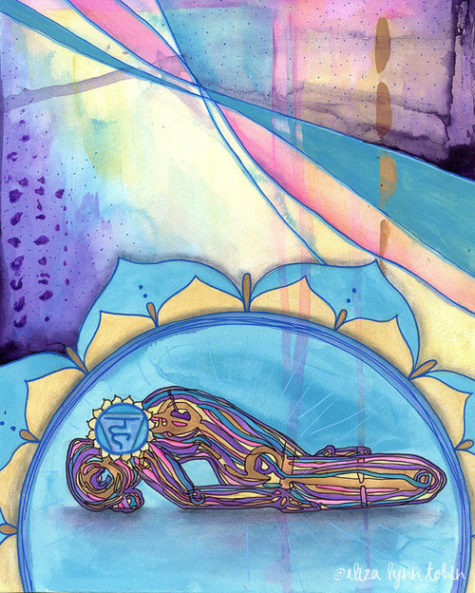 The throat chakra is connected to ether/spirit, it is all about communication, pure spirit, connection to our inner selves and our spirit guides, angels, and the Gift of Divinity that lies within. This chakra allows you to deeply connect to your soul and allows you to listen as your soul speaks. 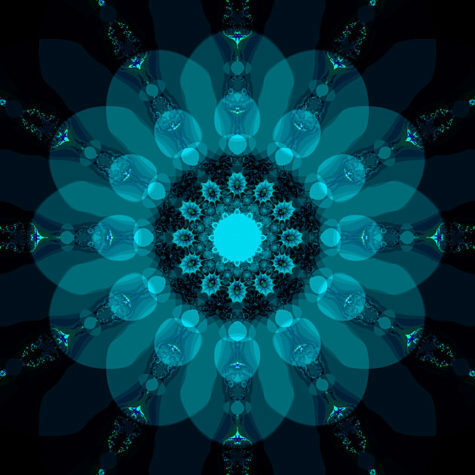 It is here that we can use our voice to make sound, this chakra is also connected to creativity through speech, music & art. It is about expression of the self. When your mind is clear so much comes easily with little effort as we are not struggling against life itself.